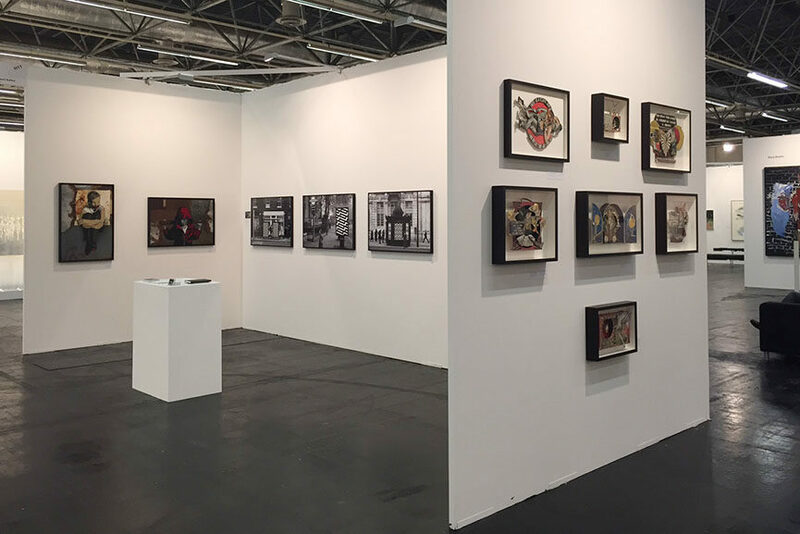 Fourteenth edition of ART.FAIR Cologne is proving itself to be the quality and collector focused event. 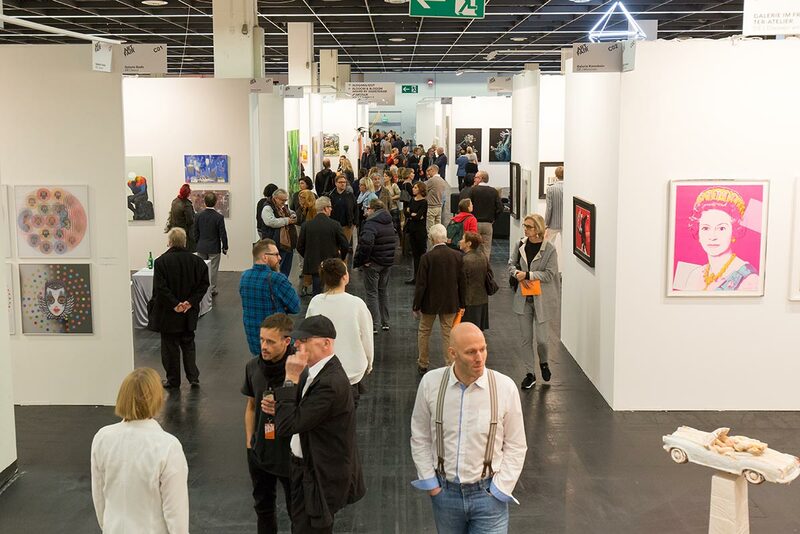 Over 100 exhibitors are presenting the visitors with their artist selections, a lot of them reaching very high quality in both execution and concept. 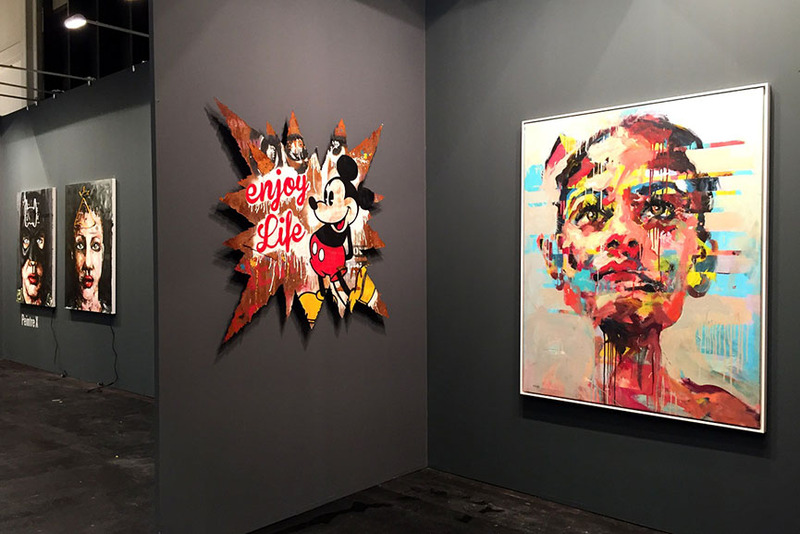 The plethora of artwork might appear overwhelming at times, but this happens rarely or never when the installation is curated well. So, our team embarked on a mission to seek out the best curated booths, presenting our readership with the spots that are not to be missed. 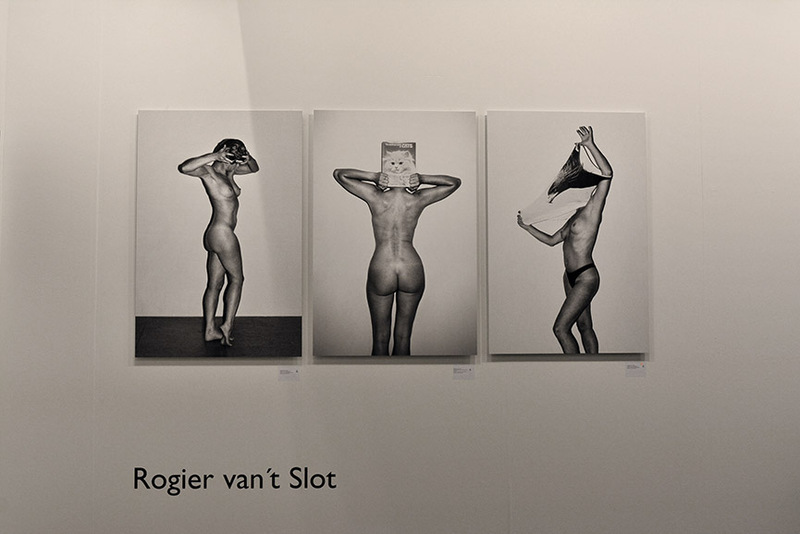 The criteria for the selection came first from a personal viewing experience. We were seeking for places without visual cacophony, for harmonious and clever solutions when a lot of different expressions are in the game and for the cleanest presentations at the event. 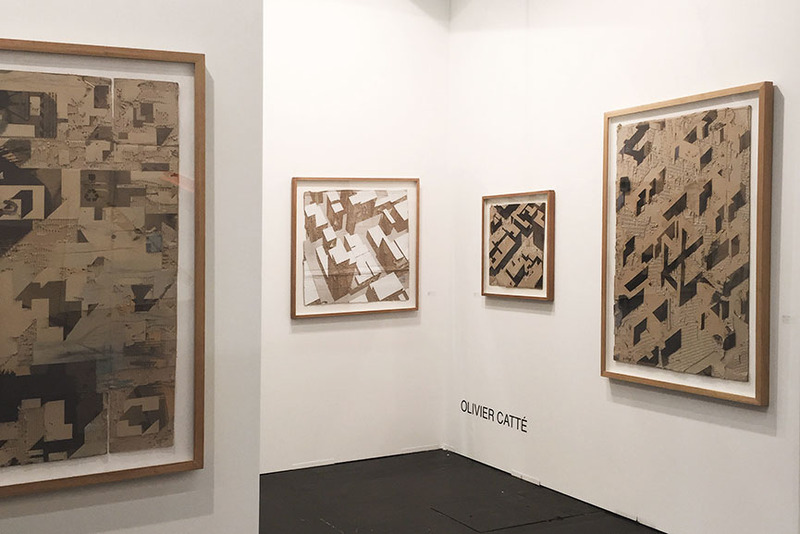 Somehow naturally, we started with the contemporary urban art booths, but followed the trail of visual harmony which led us to drawing-dedicated solutions. One-artist clean presentations might seem easy, but one of the presented we found particularly impressive. 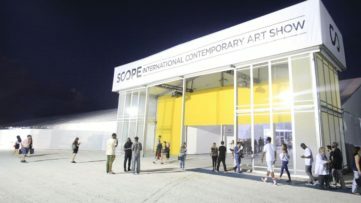 Finally, we thought that booths with a lot of presented artists had the most difficult task of curation, so we picked our favorites from those. Finally, two unique booths stole our hearts. 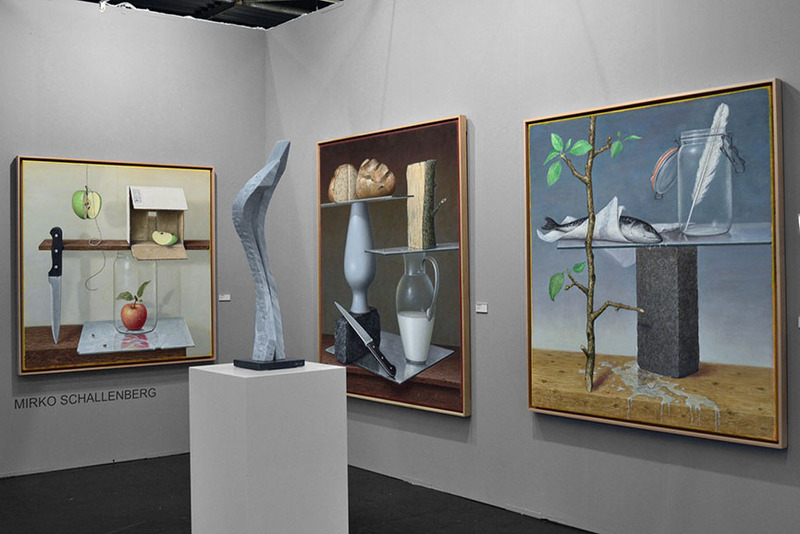 One is particular and odd, isolated even, and the other one a wonderful, museum-like one-artist installation taking up the entire booth space. 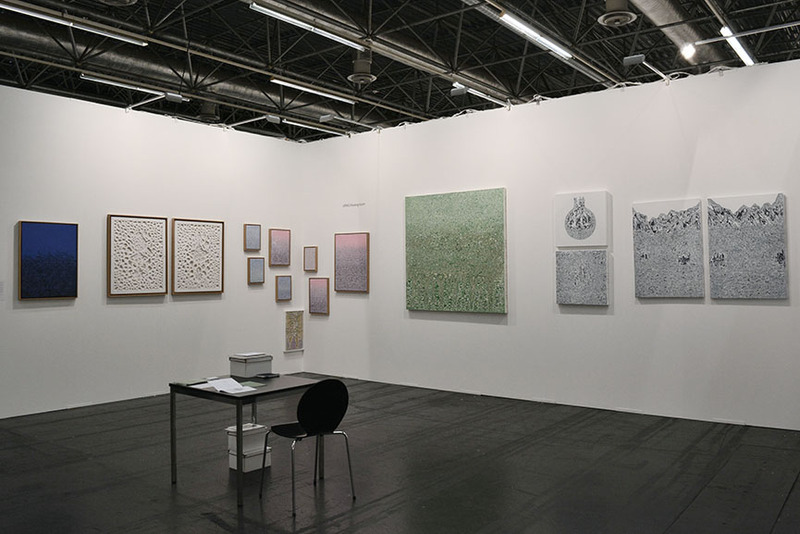 Without further ado, here are our favorite gallery/artist presentations – booths you absolutely must visit while at ART.FAIR Cologne! 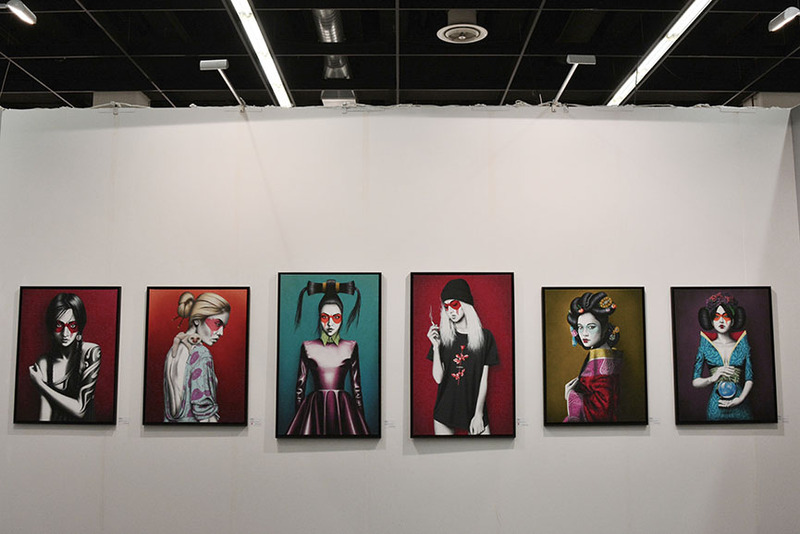 With a selection of represented artists, Pretty Portal has dedicated the entire central space to Fin DAC, which has proven to be an ideal curatorial solution. 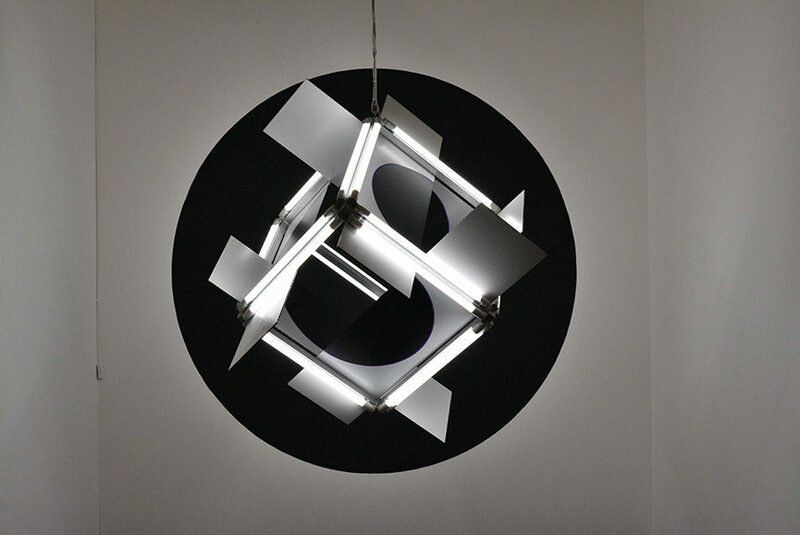 The uniformity of style did not disrupt the diversity of offer – on the contrary. 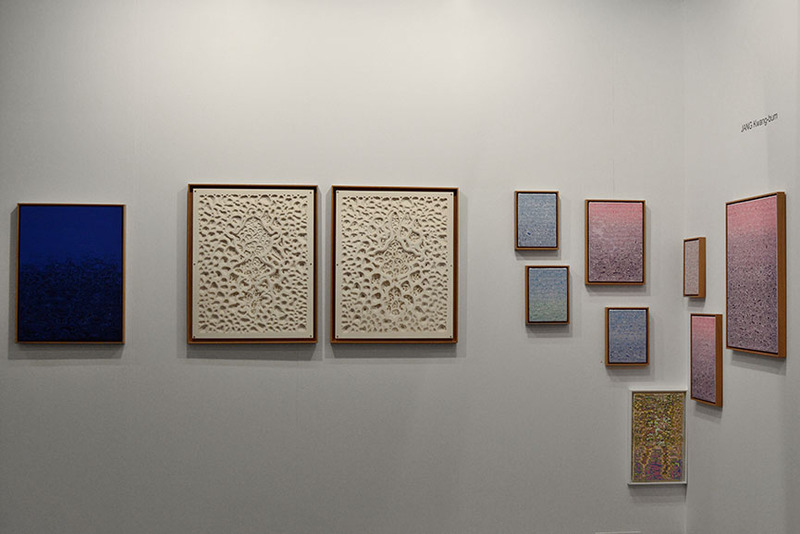 It has provided a visual framework to the pieces brought to the fair, while each of them has been allowed to breathe independently. 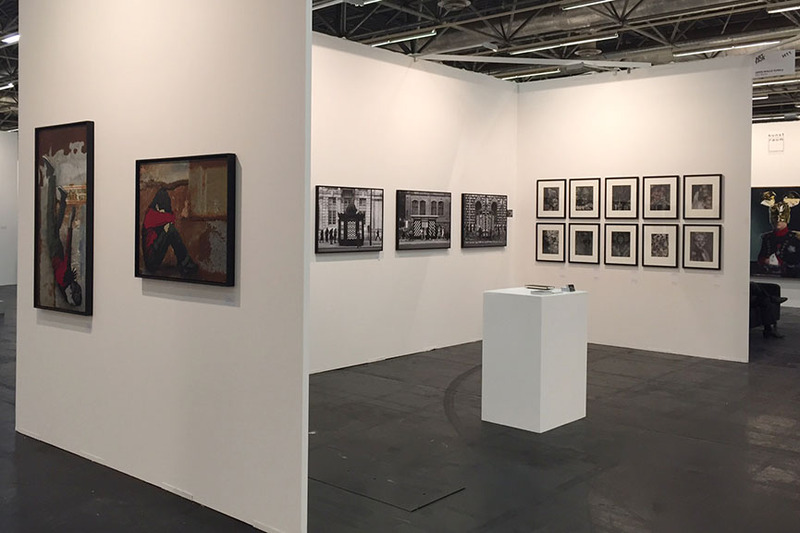 You can visit Pretty Portal booth at the Blooom Converging Art Show, booth BL-B05. 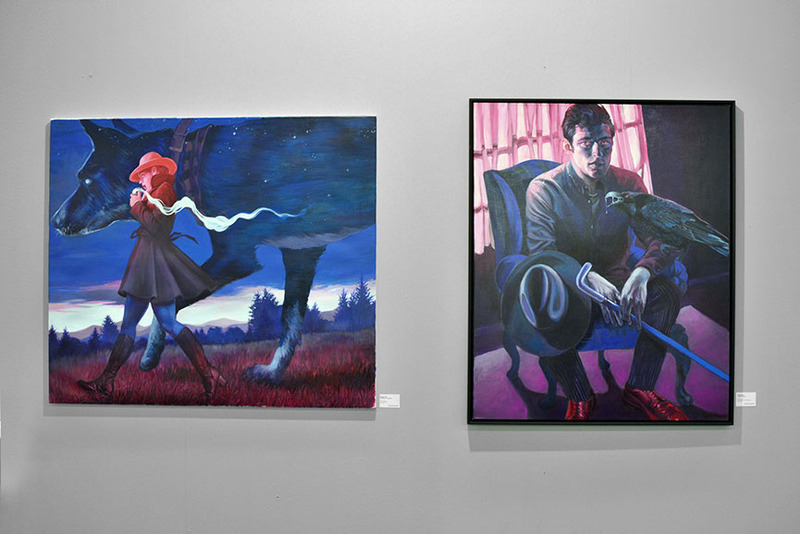 Three artists, tons of color, similar expressions, but different messages. 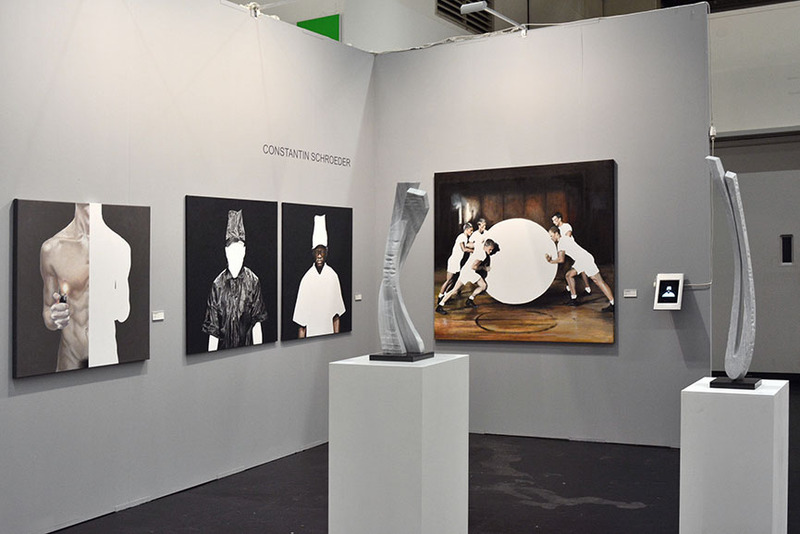 Big impressions and stunning craftsmanship coexist without collision at the 30works booth. 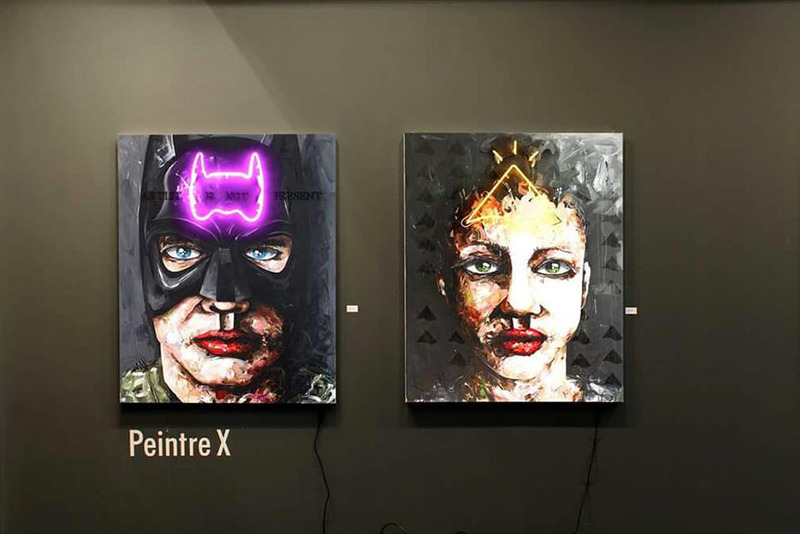 Returning to the very essence of a painting, the works by Van Ray, Salvador Ginard and Pentre X do not fail to attract, while the booth allows the viewer to move freely from one piece to another. 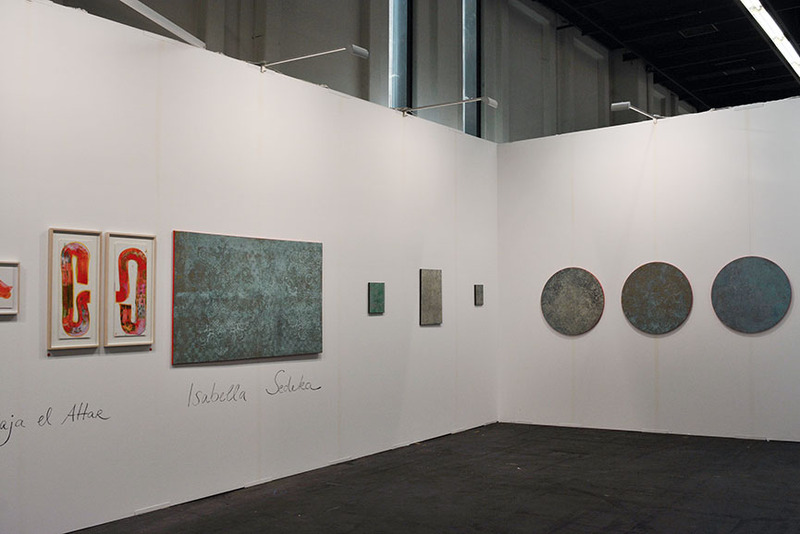 30works gallery is situated within the booth J13. 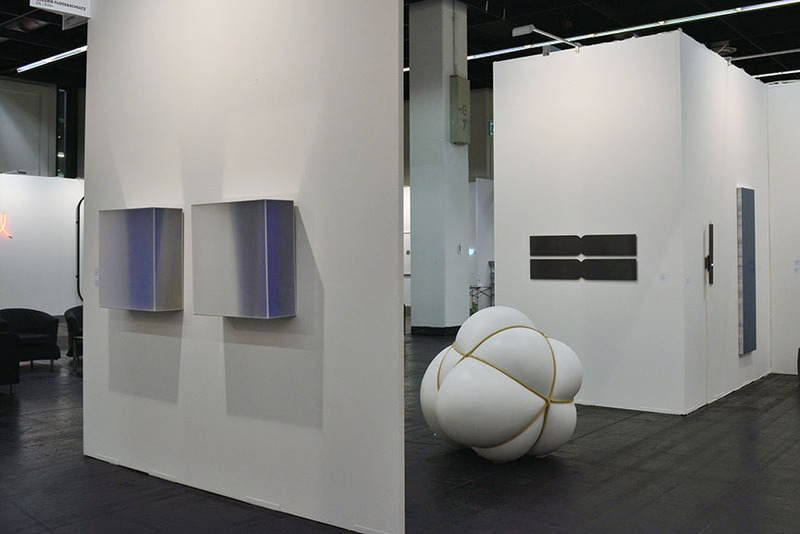 Clean, harmonious and of substance – this would be the shortest description of the OPEN WALLS booth at the ART.FAIR Cologne. 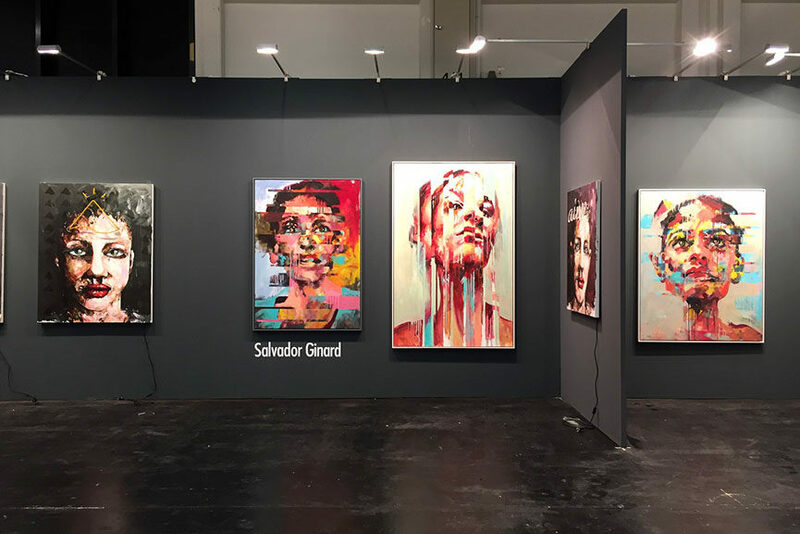 Three artists – Jordan Seiler, Madame and Alias are arranged on the inner and outer wall of a centrally located space at the fair, defining the recognizable visual identity of the gallery, while simultaneously telling a story each. 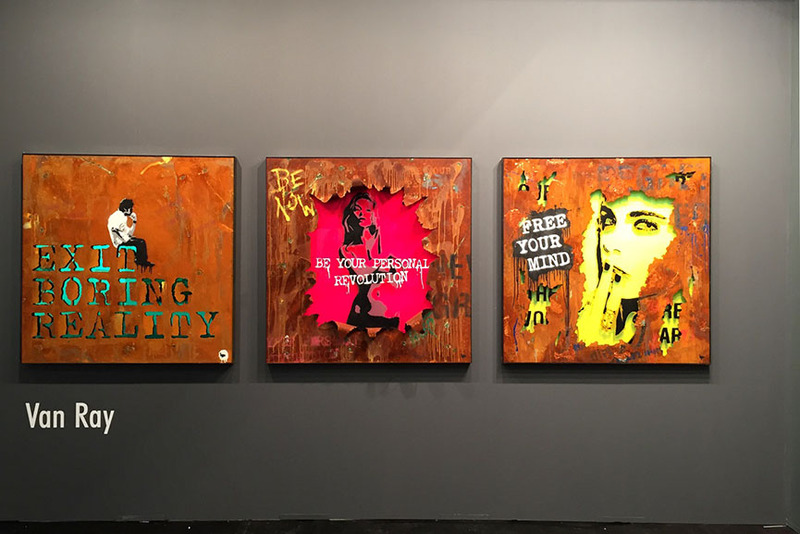 Presented like this, one might not think that the artists come from the street art background, but once each of the pieces is approached and contemplated, their true nature shines, uninterrupted. 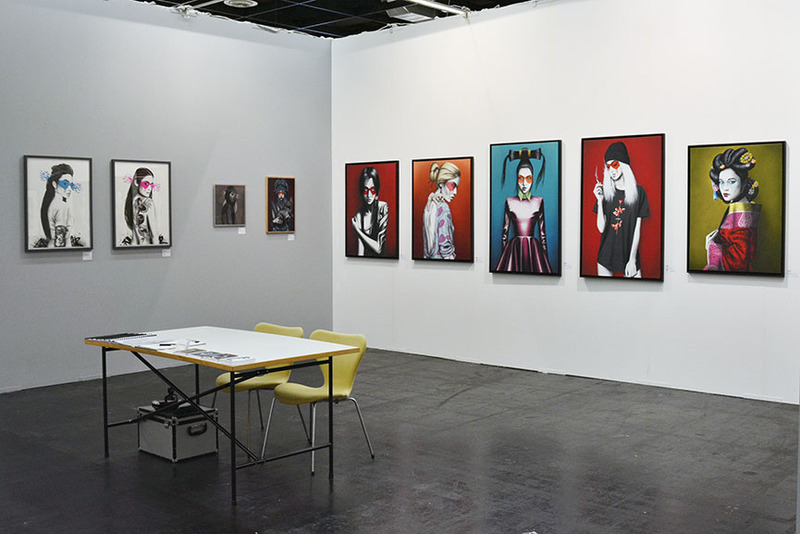 Centrally set, OPEN WALLS can be found at the booth number H11. 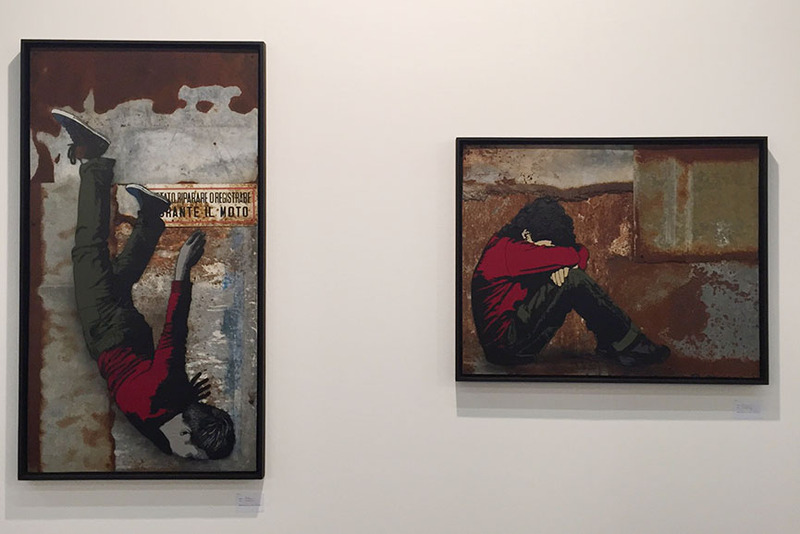 With two artistic expression on show, Galerie Lazarew demonstrated a clever presentational solution. Dividing the booth allowed for the both types of art to glow. 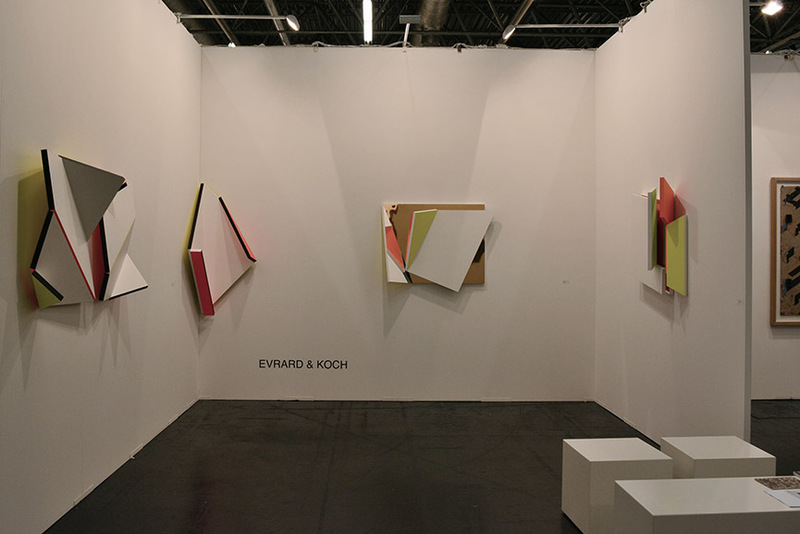 Both the cardboard-based pieces by Olivier Catté and the conceptual objects by Evrard & Koch are allowed enough space, without disrupting the unity of the booth. 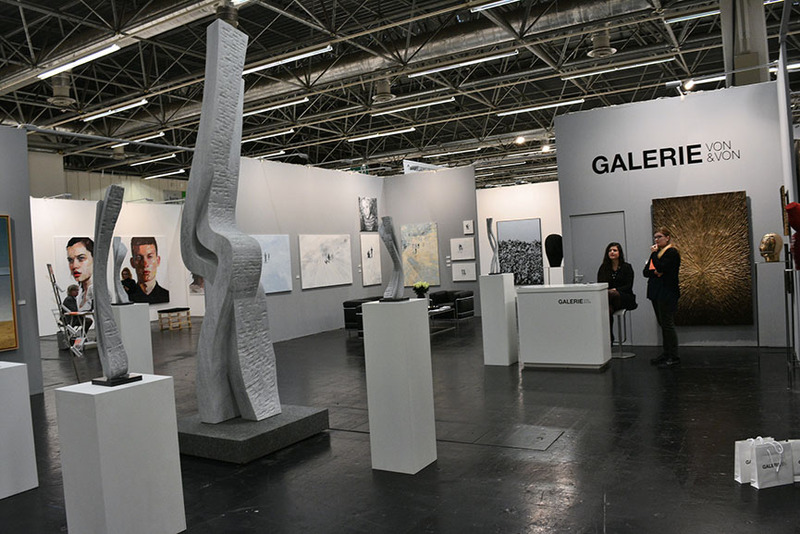 Galerie Lazarew is located at the booth number I22. 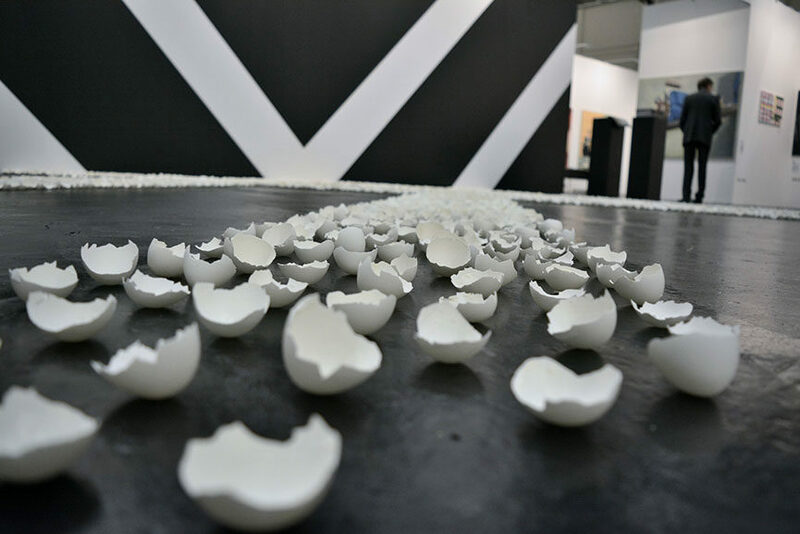 Minute-made pieces are well-arranged within the Fresh Eggs Gallery booth, another addition to the Blooom exhibition sector. Color drawings and line-based pieces resemble a frieze, but the interruptions between styles and artists are rather welcome and logical. 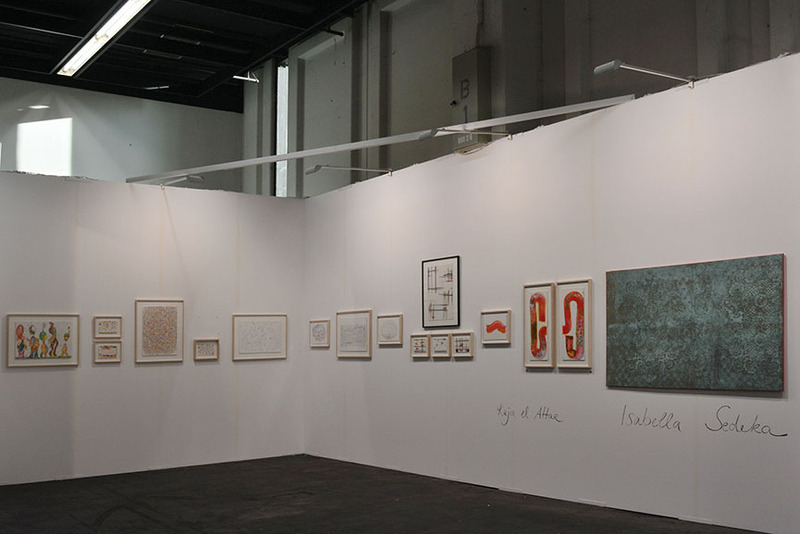 Fresh Eggs Gallery can be found at the booth number Bl.A04. 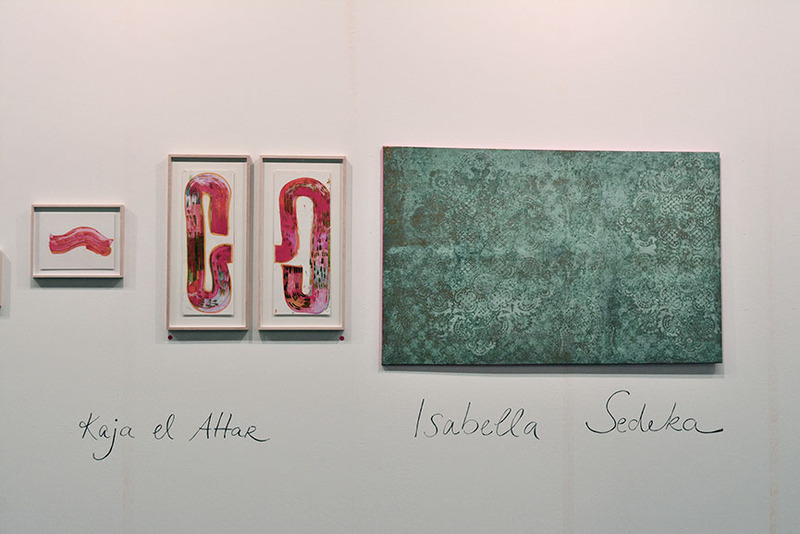 No other booth at the fair is so clearly dedicated to the line like Galerie Heike Curtze und Petra Seiser. 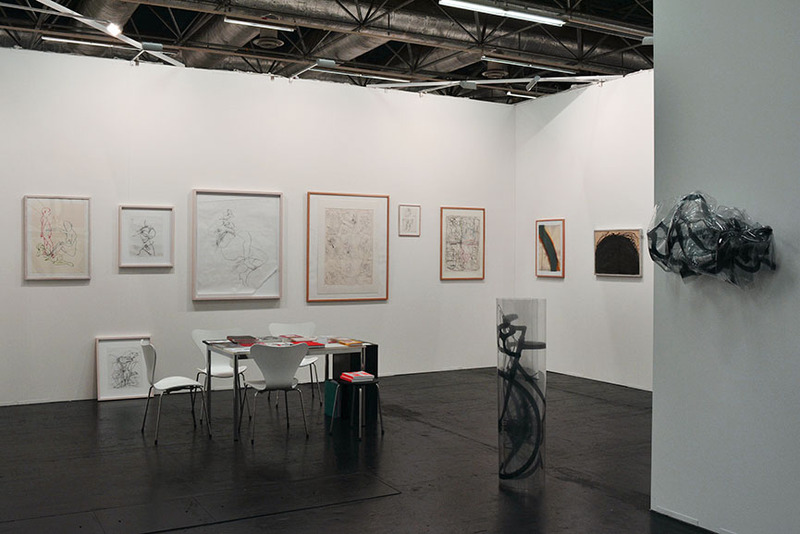 While Chloe Piene’s croquis are definitely in focus, the clean white-based space welcomes other represented artists and their creations, be they objects or wall-pieces. 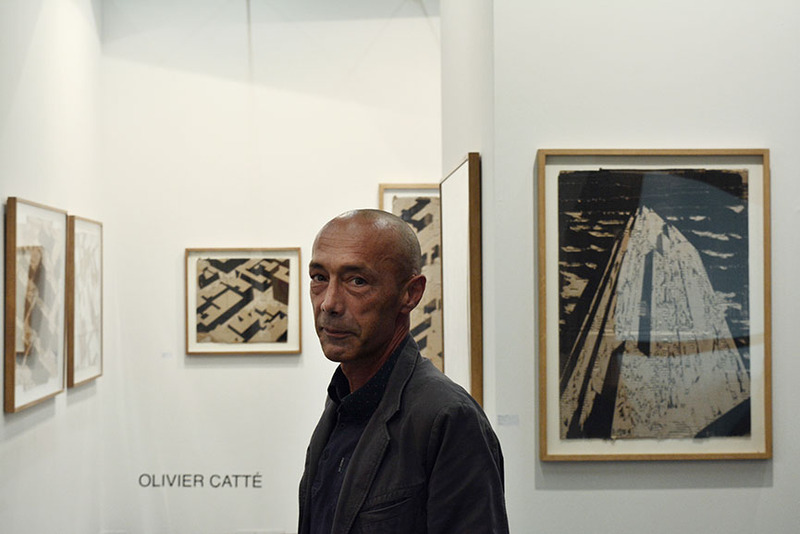 Line is always in focus, so for all the drawing enthusiasts – this is the place of interest. 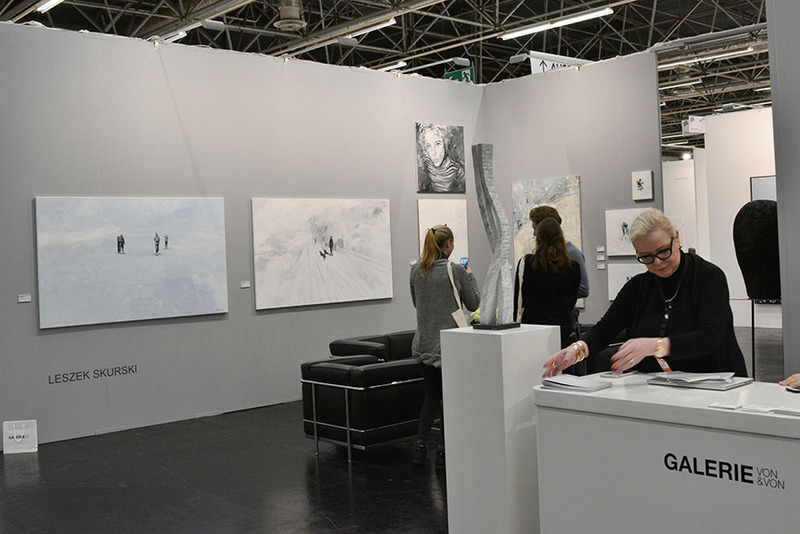 Galerie Heike Curtze und Petra Seiser is set at the booth H03. 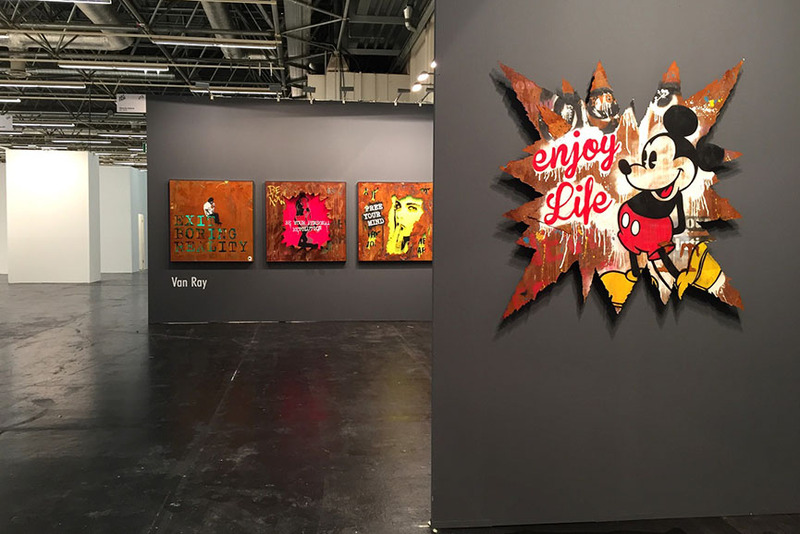 An oasis of calm amidst the visually explosive surroundings – this is how the Galerie Noej owner imagined his own space at the ART.FAIR Cologne. 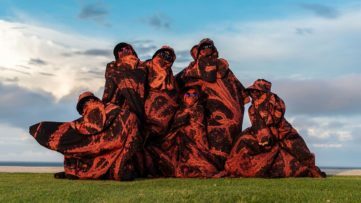 The idea is not only successfully executed, but entirely physical, especially after the all-day gazing upon the many creations of art. Meditative pieces by South Korean artist Jang Kwang-Bum soothe and relax, emanating somewhat of the slow, contemplative process through which they were made. A haven in the craze. 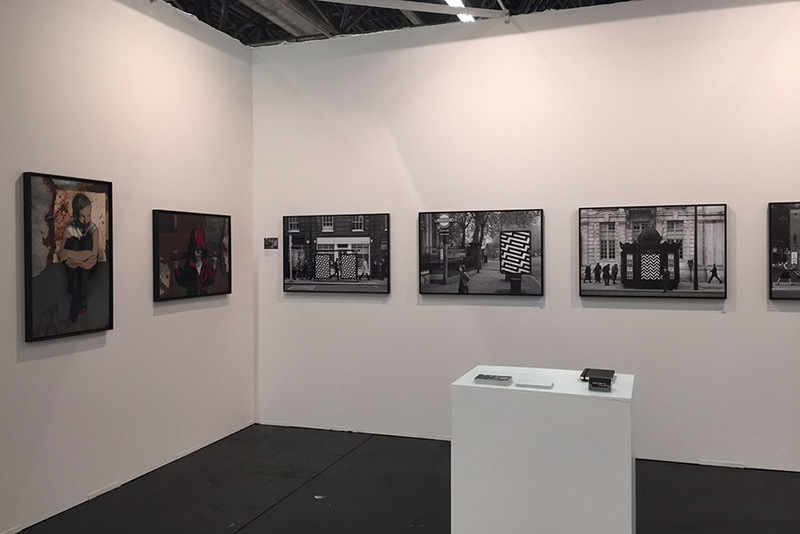 Galerie Noej is presented at the booth G23. 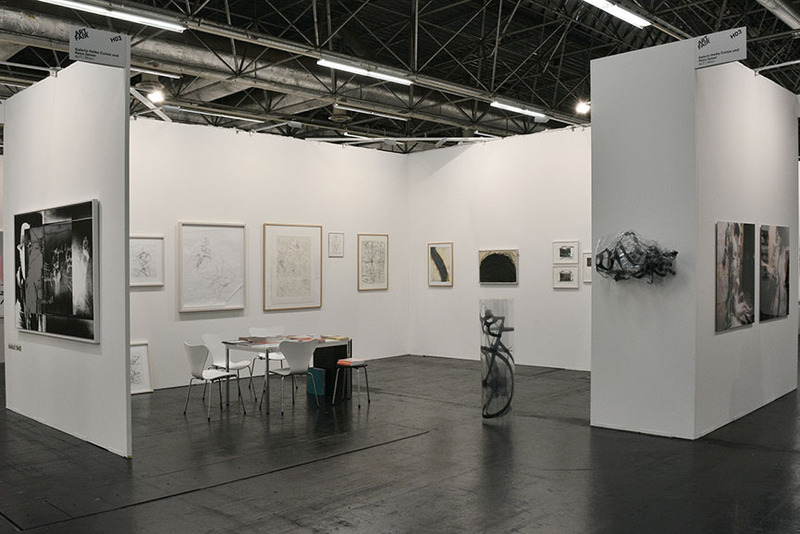 It’s difficult to present more 2 or 3 artists in a limited space such as an art fair booth. It’s even more difficult to do so when the number of creatives reaches 12. 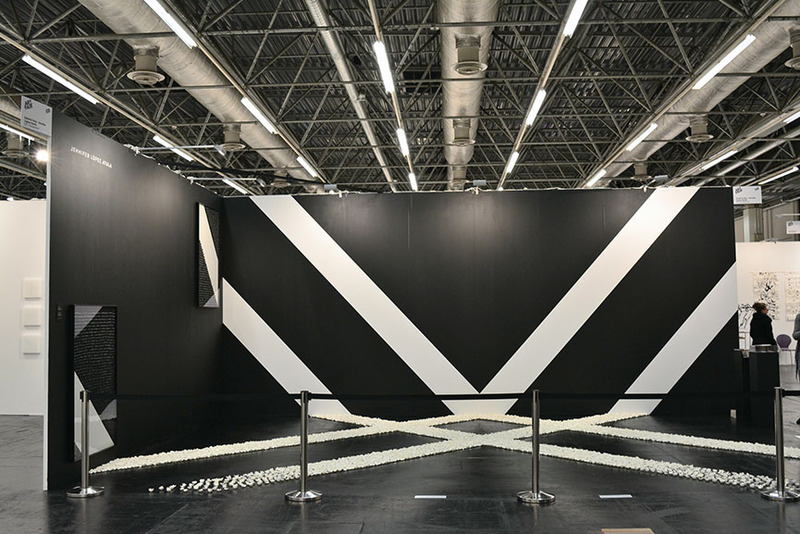 The young Galerie Floss & Schultz managed to do so, thanks to its wisely selected range of works, all belonging to the pool of concrete and minimal art. 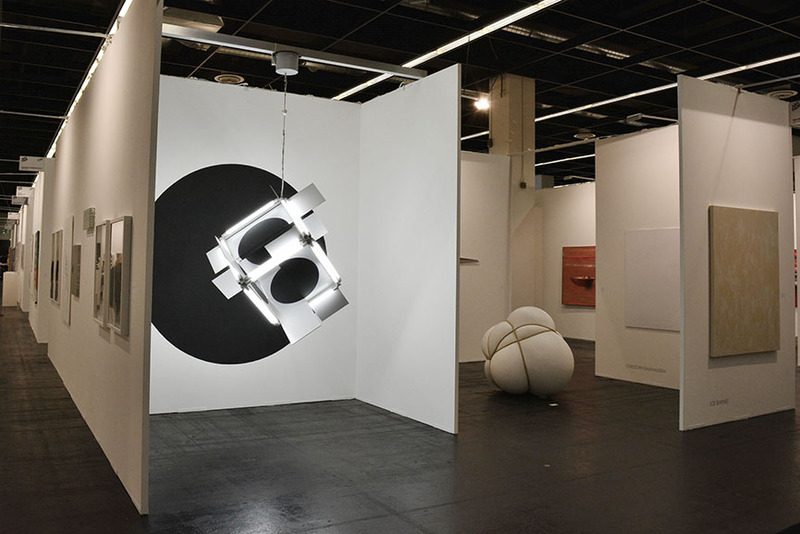 A great example how the gallery specialization has proven to work for the space. 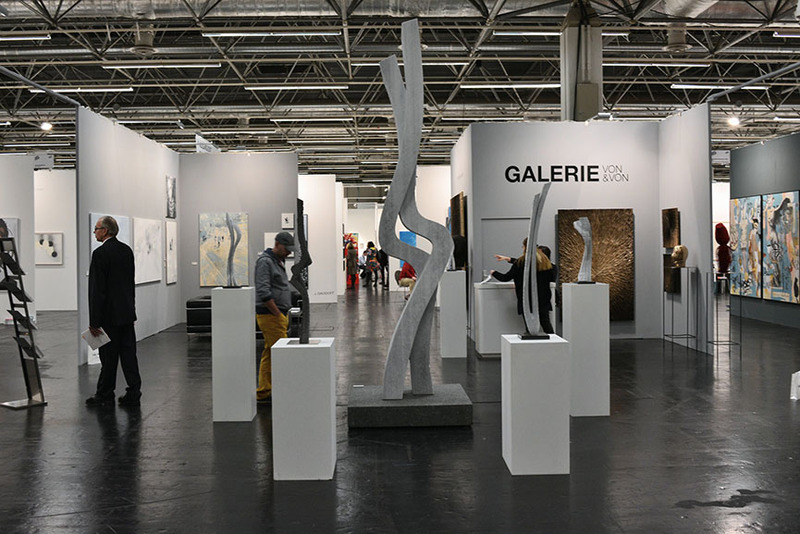 Galerie Floss & Schultz is located within the booth C04. Another diverse presentation, even more so due to the variety of styles and media on display. 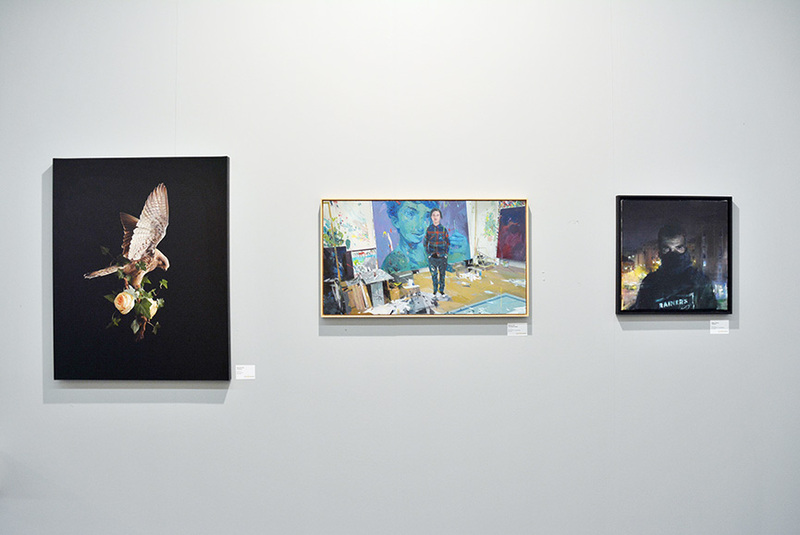 Four very different artists – Alfred Haberpointner, Mirko Schallenberg, Constantin Schroeder and Leszek Skurski – occupy the large space of the Galerie Von & Von booth presenting emerging contemporary achievements in painting, sculpture, photography and installation, complemented by light-grey museum-style walls – a great installation solution! 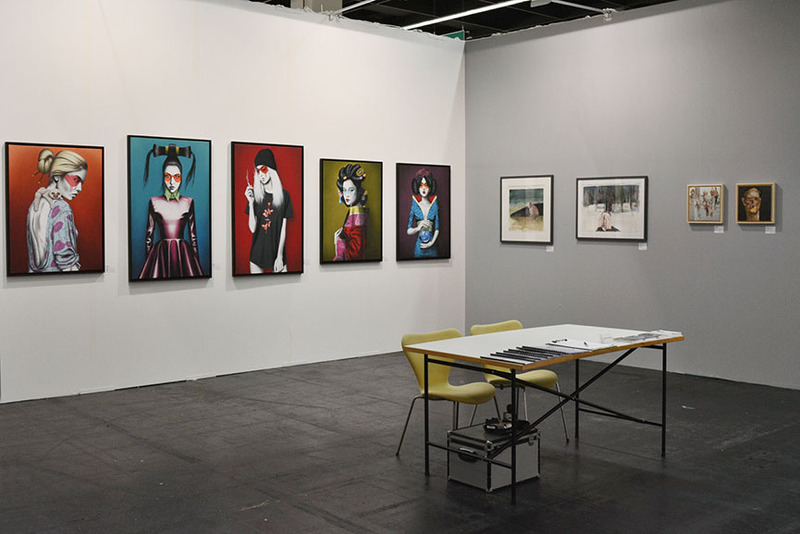 Galerie Von & Von is situated at the booth I04. 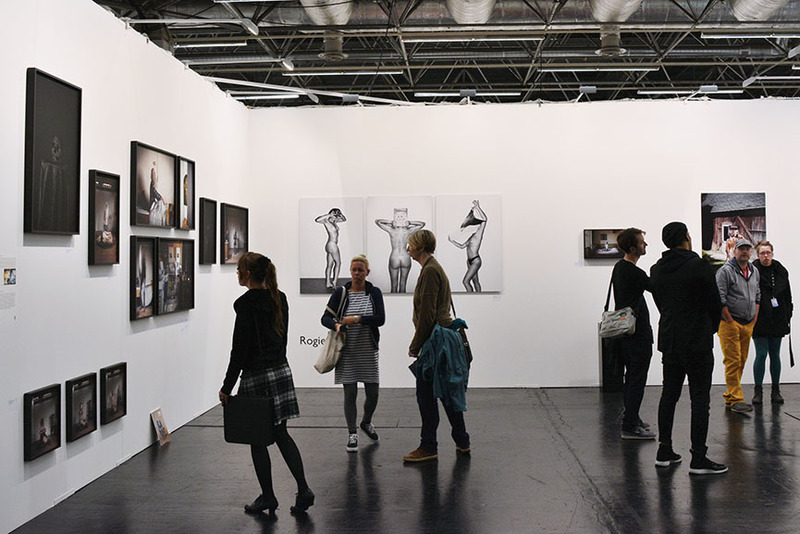 Dutch gallery dedicated to photography, Refreshment Room is probably one of the most interesting ones at the entire fair. 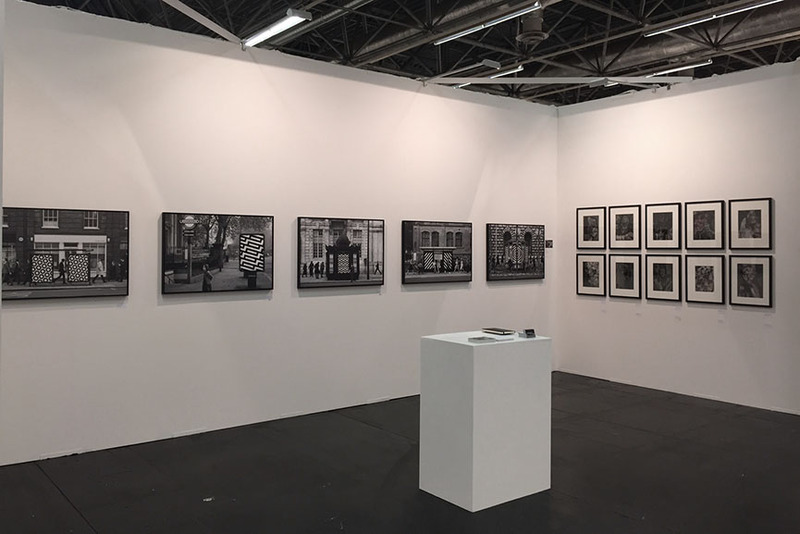 The ideas shown at the booth are inherently Dutch, following the trail of the still life painting and vanities, while the entire concept of displaying high-quality contemporary photography most definitely belongs to the present. 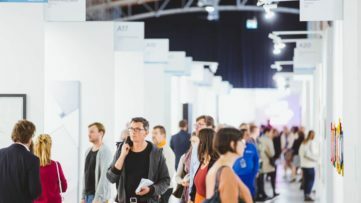 One of our favorite pieces came from this booth, while its artists – Jeroen Luijt, Barbara van Marle, Denis Rouvre, Lizette Schaap, Rogier van’t Slot -are certainly those we will keep an eye on in the future. 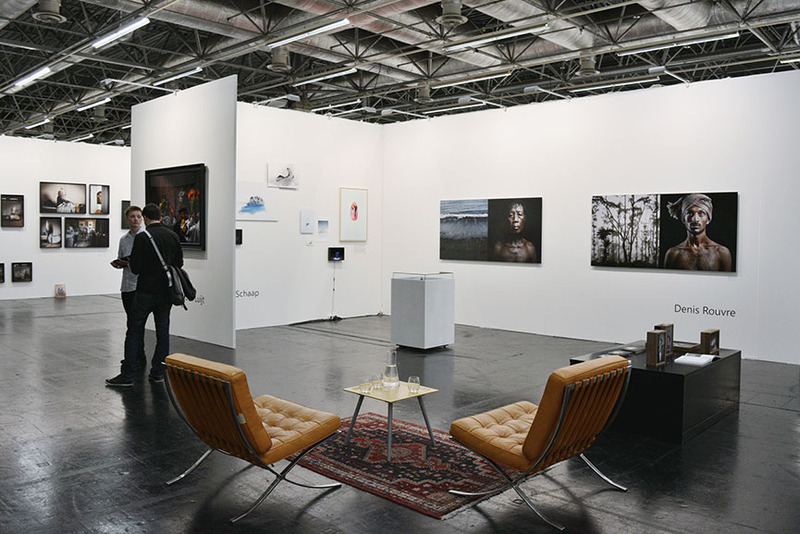 Refreshment Room is found at the booth I05. 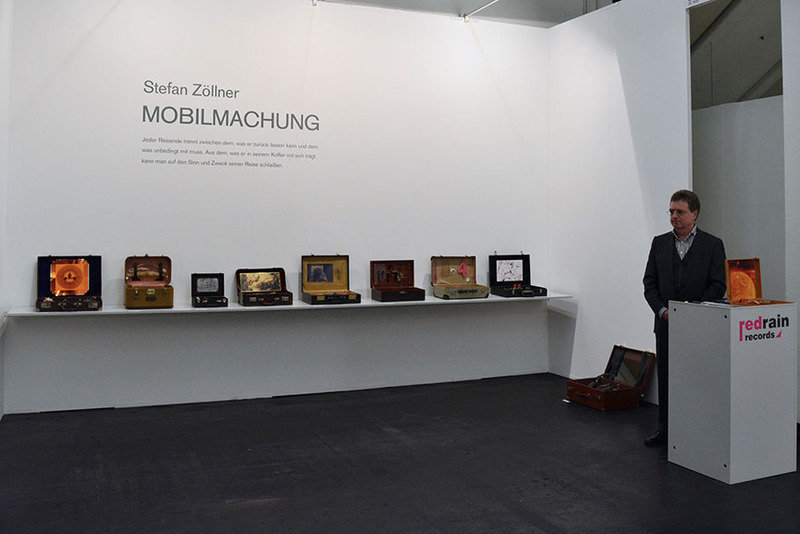 Small and isolated, like an oddity, Stefan Zoellner’s Mobilmachung booth is most certainly a curiosity! 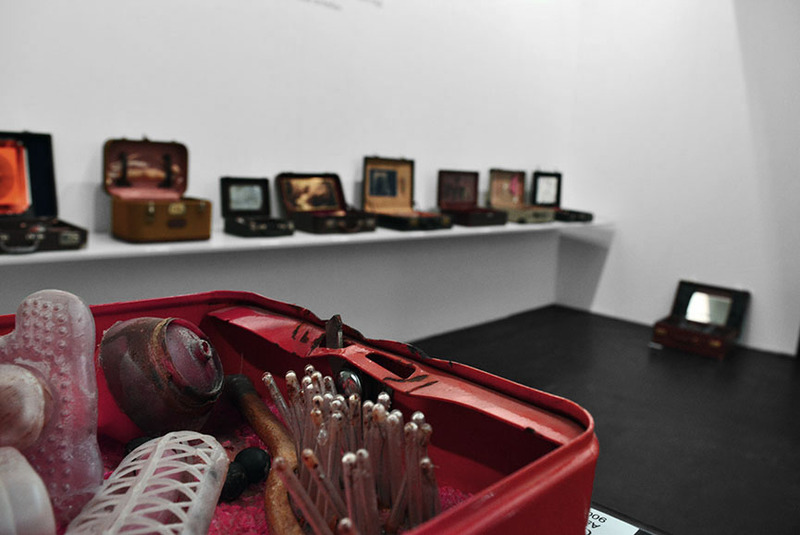 Devoted entirely to assemblage, the booth presents an array of suitcased artwork, each presenting a particular micro-cosmic idea of sorts. 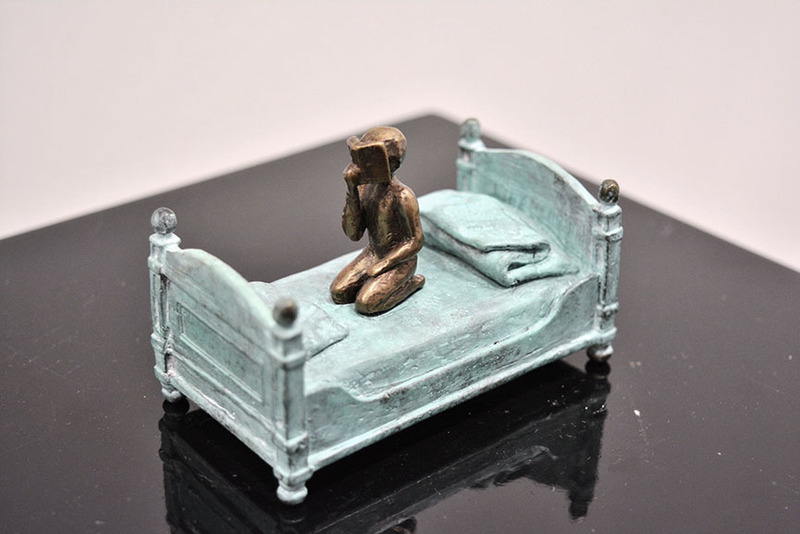 Odd, surreal and tangible objects arranged within the Stefan Zoellner pieces inspire, intrigue and excite, while we excitedly list his little showcase among our favorites. 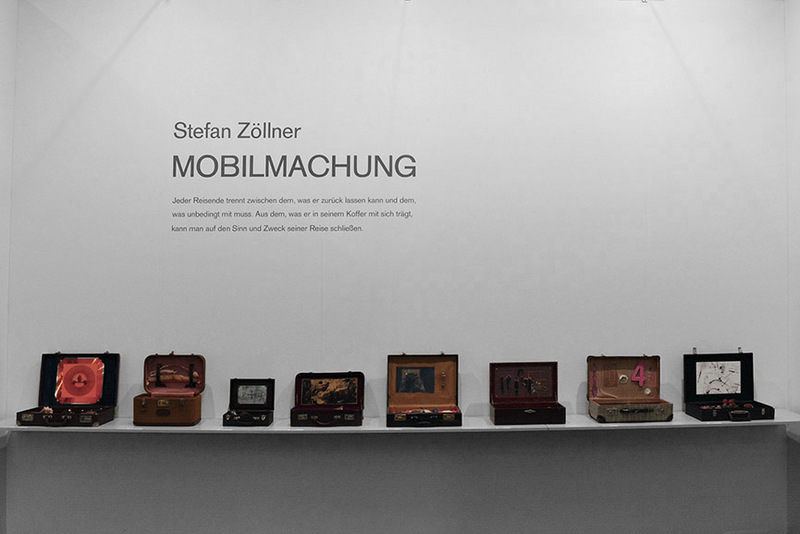 Stefan Zoellner Mobilmachung can be enjoyed at the booth number BL-C10, among the Blooom selected exhibitors. 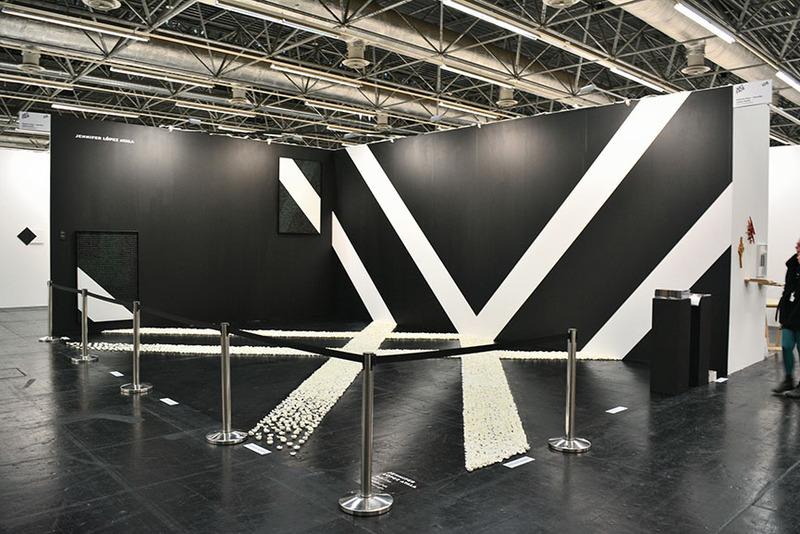 There was little other choice for the Gallery Voss to showcase the amazing installation by Jennifer López Ayala than at a separate booth. This decision has proven to be not only practical, but wise, since the black and white “Broken Lines” made of painted foil and eggshells is nothing short of impressive. 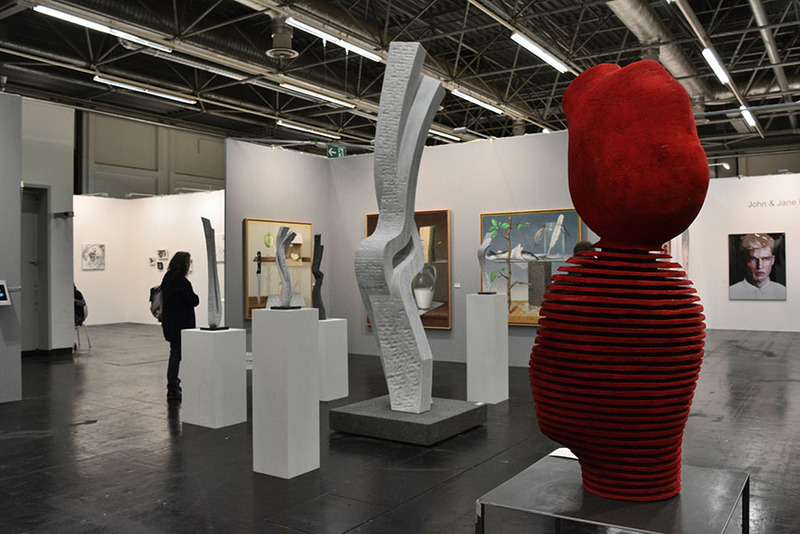 A welcome reminder that museum art is strongly present at art fairs and an enjoyable achromatic break from the profusion of colors surrounding it. 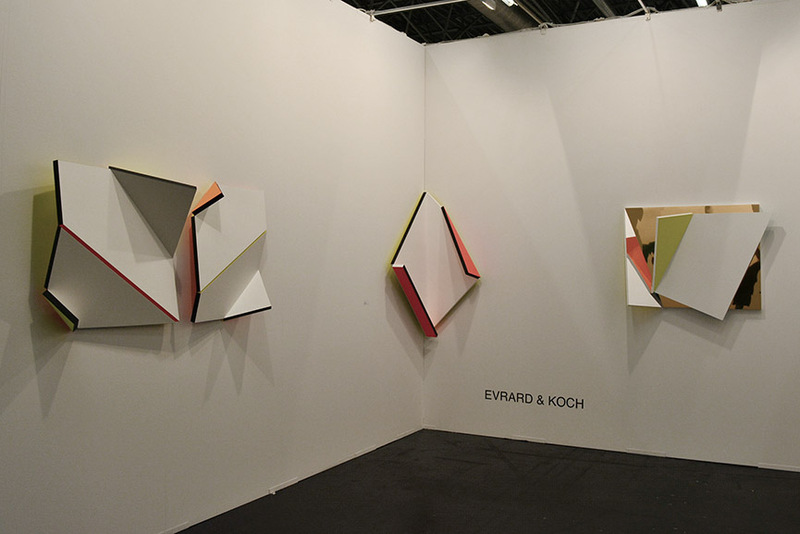 This is definitely our selected highlight of the booth at ART.FAIR Cologne 2016. 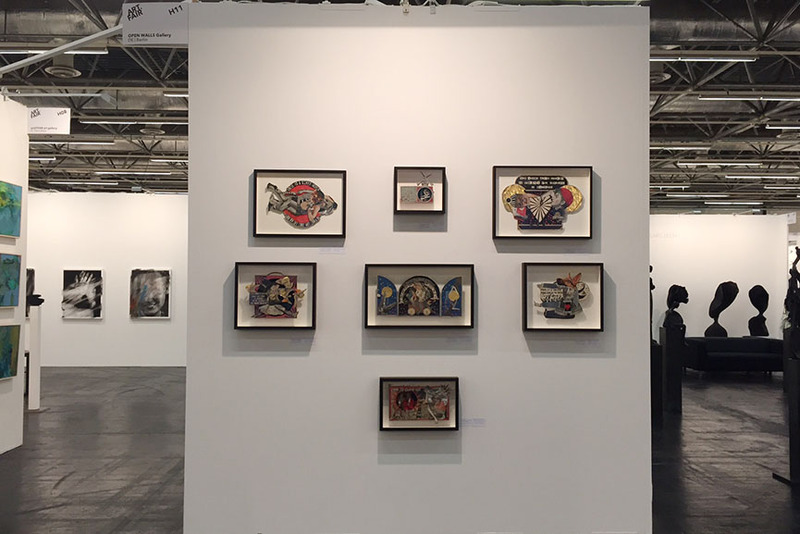 Galerie Voss – Jennifer López Ayala curated booth is marked with number I08.